This was posted by guest contributor Emma Thoni, a student at Fordham University in New York. Emma attended the AFP Defending the Dream Summit Saturday in New Jersey. This past Saturday, October 13, the New Jersey chapter of the Americans for Prosperity Foundation held the Defending the American Dream Summit in Parsippany-Troy Hills, New Jersey. The event featured information sessions all morning on topics ranging from “Twitter 101” to “America’s Healthcare Future,” which proved not only informative, but empowering- speakers taught the audience the online research tools to uncover information on politicians, as well as how to become an effective citizen journalist. Later in the afternoon, speakers such as Jonah Goldberg, John Fund, Peter Schiff, James O’Keefe, and Michelle Malkin spoke at the Final Countdown Rally. As a young Republican, I garnered more than a few bewildered looks from the other attendees, (who I think were actually alive when Reagan was in office!) and was even approached by a handful of people wondering if I was lost. Of course, I probably should have expected my presence to be shocking when the word ‘young’ has become completely synonymous with being‘liberal.’ I feel like I belong to the “I Exist!” support group from those Diet Dr. Pepper commercials. The highlight of the day (and probably of my life) was meeting and speaking with Michelle Malkin, who not only agreed to give me a quote, but actually offered to sit down after her speech and answer some of my questions. (This may have had something to do with her enthusiasm for TheGatewayPundit, a name which she immediately spotted printed on my name tag.) 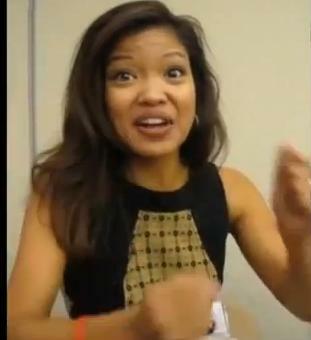 Sitting mere inches away from the glorious Michelle Malkin was, I have to say, completely surreal, especially after listening to her deliver a speech that was at once witty, impassioned, incisive, and goofy, and which was interrupted throughout with bursts of applause from the enamored audience. Needless to say, I was a little starstruck to be interviewing this brilliant woman- and at the tender age of eighteen no less! I was struck by how warm and truly gracious she was in person, and especially by the kindness which she showed in offering to me her invaluable time. 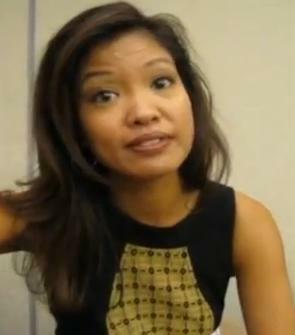 I will forever be grateful to the fabulous Michelle Malkin! What a terrific interview with a true American patriot.